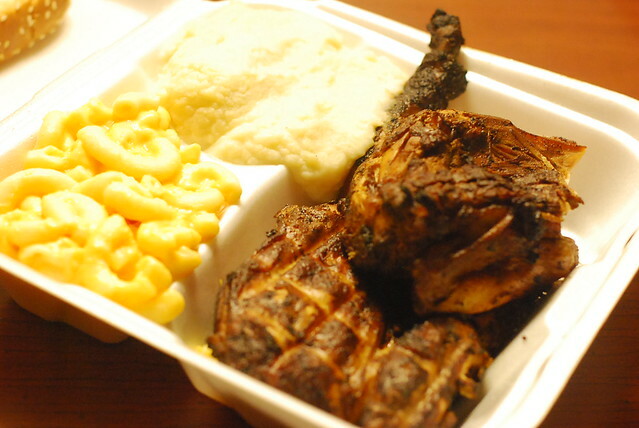 Iredell County: Port-A-Pit BBQ, Statesville – Charcoal BBQed Chicken. Some of the best grilled chicken I’ve eaten; the skin was crisp like nothing else and it had that lovely charcoal smell to it. Delicious sides, too. 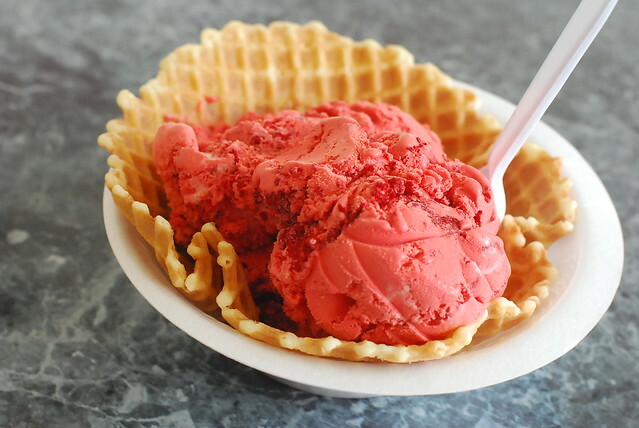 Catawba County: Udderly Delicious, Hickory – Red Velvet Cake Ice Cream. The best thing I’ve eaten so far in this quest. Otherworldly. With big hunks of actual cake in it. Davie County: Ketchie Creek Bakery & Cafe, 5 Flavor Pound Cake. I did not expect to have to buy a whole cake. After my first slice, I was delighted to have bought a whole cake. 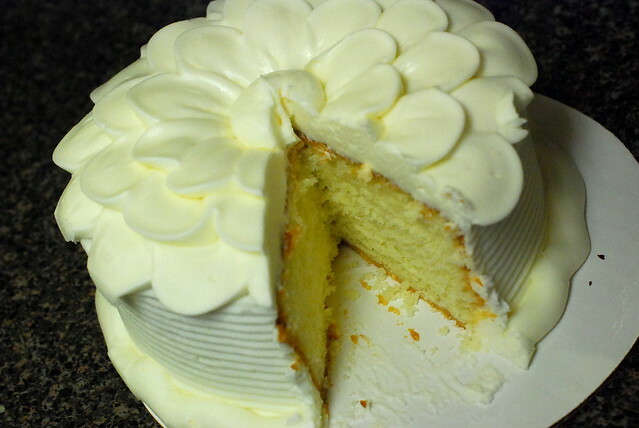 The cake is moist and, well, five-flavored, but the buttercream icing is the top.